It is well known that a lot of people are facing difficulties in falling asleep sometimes, as the causes are multiple: stress, work, exams and so on. No matter what they try, they just can’t fell asleep, being very tired the day after. Fortunately, technology comes in handy once again and if you have a smartphone, there are a couple of apps you can try in order to enjoy a restful night. 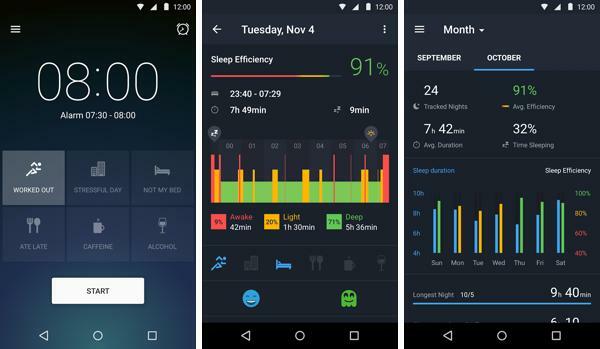 We’ve made a short list, with the top 5 best Android apps for sleep tracking, so if you find yourself in this situation, check them out! Jawbone Up – One of the best apps available, it can track both deep sleep and light naps, if it’s paired up with an Up Wristband. The provided data, like sleep duration, how long you need to fall asleep or how many times you woke up during your rest session. Our personal favorite from this top! 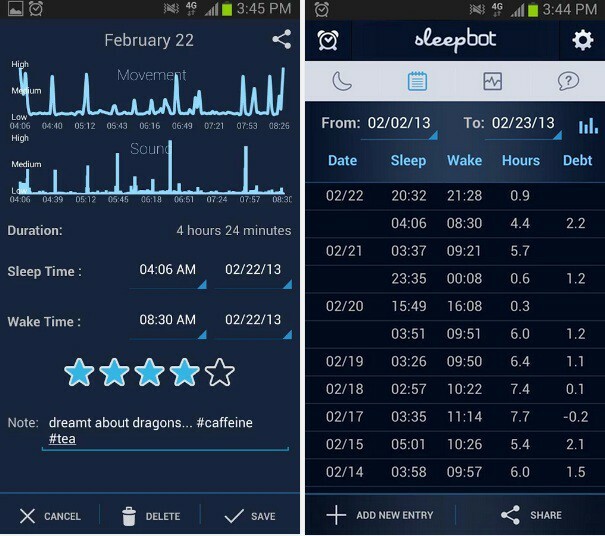 SleepBot – Using your Android phone’s accelerator, the motion tracker from SleepBot keeps track of your sleeping cycles and records sound levels. It provides tables with all your sleep history, including the whole duration, wake time or even the amount of sleep you lost. Oh, and it’s totally free! Sleep Time by Azumio – For $1.99, you will receive one of the best sleep tracking apps, based on an algorithm designed at Stanford University. Besides tracking your sleep cycles, Sleep Time also provides soundscapes as ocean waves or forest rainfall. Still, don’t forget to set your phone to never unlock during your sleep, as otherwise, it won’t work. 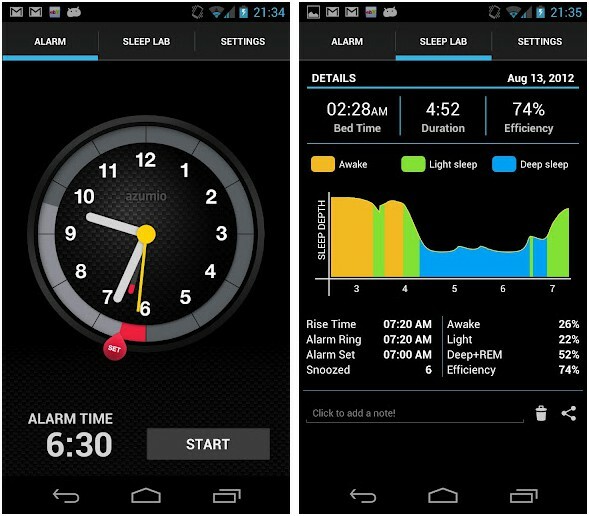 Sleep as Android – One of the most acclaimed sleep tracking apps, Sleep as Android is basically a tool, coming with alarms settings, tracking features and even an integration for controlling your Philips Hue lighting system or syncing it with your Pebble smartwatch. The app makes use of your smartphone’s sensors, detecting all your movements during the night, collecting data and using it in order to set an alarm that goes off in the perfect moment, just when your full sleep cycle is over. Runtastic Sleep Better – Brought to you by the developers of one of the best running apps, Sleep Better is a very efficient and simple app, which can help you to determine all the elements that have a negative impact on your sleep’s quality. All you need to do is to place your phone next to you when you go yo bed and it will identify if you worked out, if you are stress, if you had a late meal or even if you’re sleeping in a bed that’s not yours. 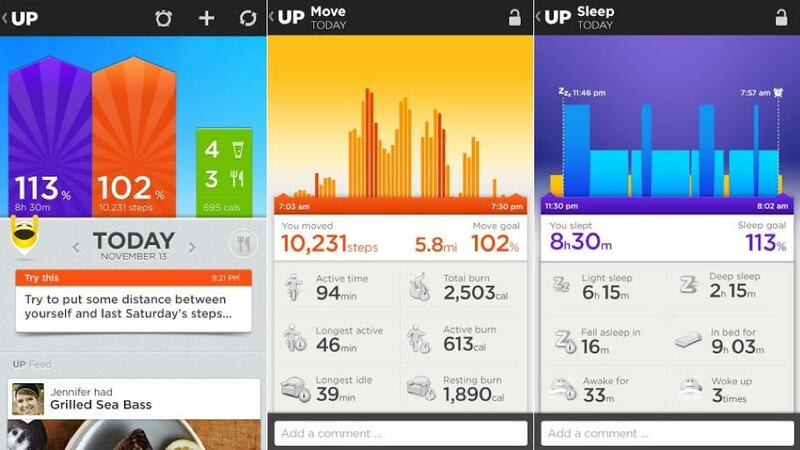 Since we’re big Runtastic fans, we have Sleep Better a try and we were more than just impressed! 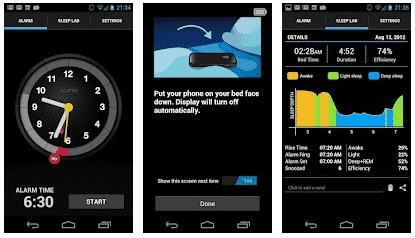 And these are the top 5 best Android apps for sleep tracking in our opinion. Just give them a try and see if the provided information helps you improve the quality of your sleep. Also, don’t forget that the list is open, so if you have any other suggestions, feel free to share them, using the comments section below!